Wednesday 10th March 2010, 6:30 pm. Speakers: Gillian Arnold, Alison McLaughlin and Kate Ho. Organised with the Scottish Resource Centre for Women in Science, Engineering and Technology. BCS Edinburgh is marking International Women’s Day by examining work life balance Three contributors will describe the challenges they face in balancing professional pressures with personal life. All three of our case studies are women, but the discussion will explore the issues faced by everybody, men and women. 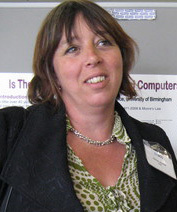 Gillian Arnold is Director at Ag Resourcing Ltd and a member of BCS Strategic Womens Forum. Gillian worked for IBM for 21 years, prior to setting up her own company in January. She has broad experience in customer facing technical, sales, business development, strategic marketing and consultancy roles. She has also been a major shaper of IBM’s gender diversity policies. 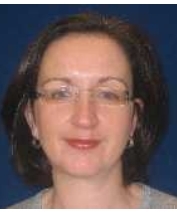 Alison McLaughlin is Head of Scottish Public Sector at Sopra UK. She began working at Newell & Budge in 1996, having taken a degree in Engineering at the University of Glasgow. Alison has successfully juggled raising a family with progressing to one of Sopra Group senior management positions, responsible for managing 40% of the company’s revenues and its largest clients. 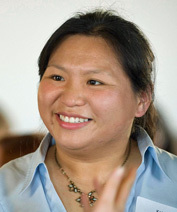 Kate Ho is the Managing Director of Interface3, a business specialising in designing and developing software for next-generation multi-touch devices. She has recently submitted her PhD in Requirements Engineering, with the School of Informatics at Edinburgh University. 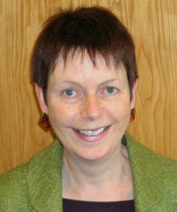 Jenny Tizard is a Branch Committee Member of BCS Edinburgh. She manages the Scottish Resource Centre for Women in Science, Engineering and Technology. The Centre works with employers, women working in the technology sector and students to increase the profile and participation of women. Jenny has organised this meeting and will chair the discussion.